Need a custom simulation built to meet your exact needs? No problem! Train more surgeons to use your products or procedures, more quickly, more safely, and more frequently. 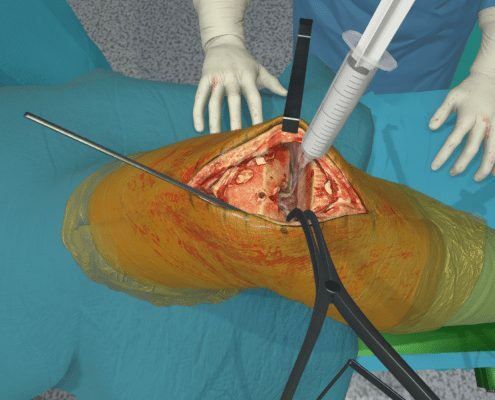 Fundamental Surgery can be tailored for medical device companies and providers to deliver specific knowledge transfer and procedural learning using our haptic learning technology. It can be used for verification and compliance as well as training, ensuring scalable learning occurs across the board. 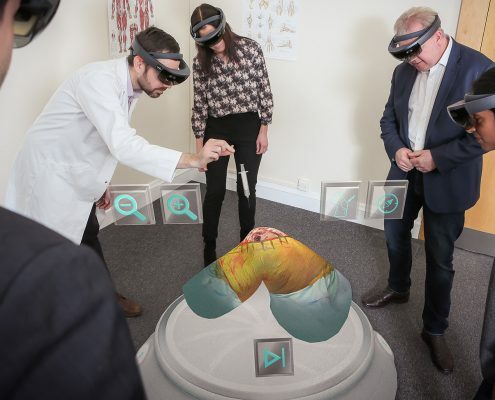 We have helped leading pharmaceutical and medical device companies to engage with their customers and colleagues in a deeper and more effective way, via our HapticVRTM experiences, and have refined our work with the worlds leading surgeons and accreditation organisations. 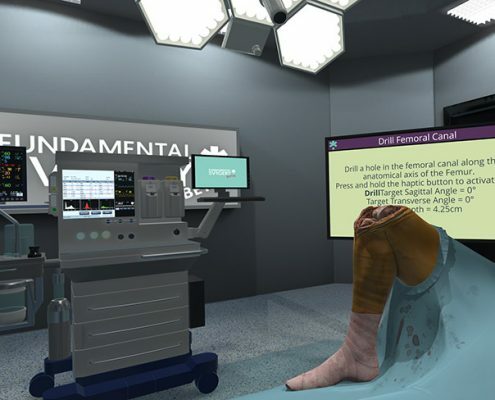 Our custom simulations are built using our proprietary immersive technology and haptic intelligence engines which means that you can be sure when working with us that your education tool will be effective today and tomorrow. As an approved Microsoft HoloLens Partner we are able to bridge the gap between virtual and augmented/mixed reality and ensure that your educational simulation assets work as hard as possible for you whatever the chosen platform. For more information or to discuss your custom simulation needs, please fill in the form below. Fundamental will use the information you provide in this form to contact you with regards to your Custom Simulation needs.